Have you been looking for a skilled and dedicated team to regularly inspect your car’s integral systems? For years the certified and fully-qualified team at All Types Automotive have aimed to keep vehicles throughout Melbourne operating safely and according to their listed specifications. By offering complete major and minor car servicing to our Pascoe Vale clientele we can improve the handling, performance, and overall life of their vehicle. At All Types Automotive we endeavour to provide personalised and reputable mechanical assistance to our valued customers. With in-depth knowledge of the ins and outs of modern motors and automotive systems we can deliver an honest and reliable car service Pascoe Vale residents have been waiting for. By conducting detailed inspections and testing of our customers valued cars we can ensure that they are running peak performance and handling, improving responsiveness and their lifespan. Do you want to keep your car operating flawlessly? Are you in need of immediate emergency automotive maintenance? At All Types Automotive it is our ambition to provide a complete and satisfactory car repair experience to our clients across the city. With years of first-hand experience and training you can trust our mechanics to help Pascoe Vale locals and beyond enhance the driveability of their cars. From our advanced workshop we can inspect and repair a wide range of issues that are affecting the health and safety of your vehicle. Combining passion with professionalism we can deliver one of Melbourne’s best vehicle repair experiences to our customers. 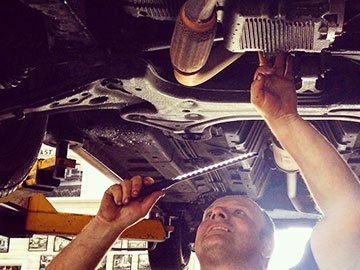 Through our use of the latest repair methods and techniques, combined with our exclusive use of renowned equipment and replacement parts, our mechanics have the skills to guarantee the health and safety of Pascoe Vale, Preston, Coburg, Brunswick, and Broadmeadows vehicles. To speak to a member of our team about our unmatched approach call us today on 03 9469 2933.